Heidi and I made it. We're here in Wasilla. We arrived late last Saturday, after making it across the border, and after saying hi to all our friends in Tok. We had a great trip, saw lots of country, and we managed it without even a flat tire. The last couple of days have been spent resting up, and eating all of Mom's home cooking. The night we arrived home, Heidi and I had a king crab feast waiting for us, with fresh rhubarb (from the garden) pie for dessert. 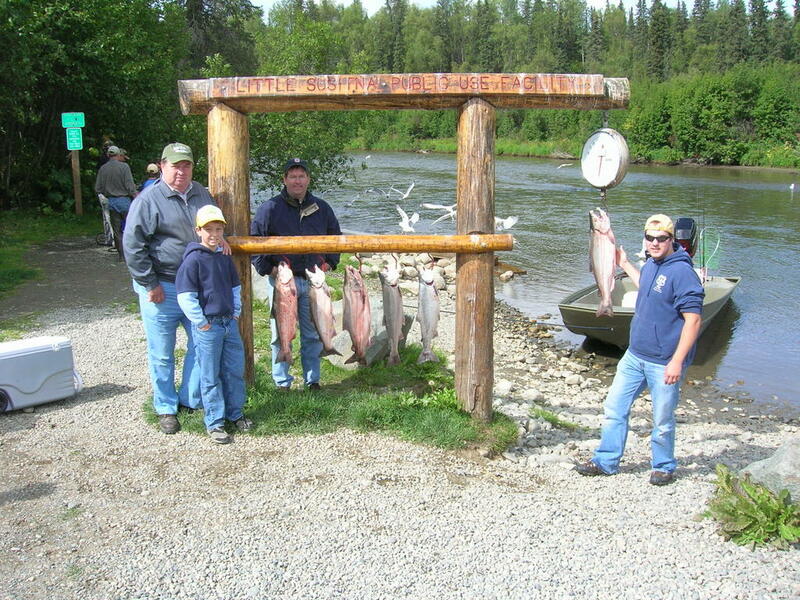 This morning my dad, my brother, my nephew, and I went fishing on the Little Susitna River. 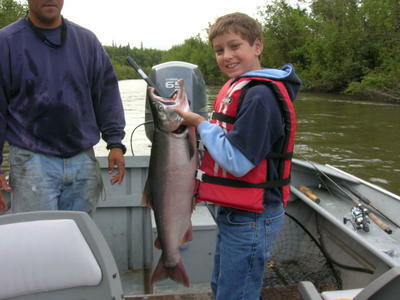 The river flows very close to my parent's house, but we fished it further down, closer to the ocean. We caught six great size silver salmon. I caught a twelve pounder. Right now my mom is baking one up for dinner.